After a tragedy forces them out of their home, Naomi Wallace (Piercey Dalton) and her son Logan (Dylan Minnette) move into her sister’s empty mountain house. They know that this is just a temporary fix until they can get back on their feet - not least because the house is for sale. I’ve never really considered the unsettling nature of Open House events. However, writer/directors Matt Angel and Suzanne Coote certainly have and, now I consider it, I’m inclined to agree. Selling your home can be a strange and unnerving experience. Just think about it... at what other time would you allow complete strangers to roam unchecked around your house? What would happen if some of those visitors decided not to leave? So, there you have it - the premise for Angel and Coote’s Netflix Original horror thriller, The Open House. As a lover of the horror genre, I appreciate that not all films aim to be Get Out. Some movies just want to offer us a little escapism and an entertaining rollercoaster ride. From the start, The Open House falls squarely into this latter category. Yes the movie’s story is predictable and eye-rollingly derivative. There's your typical creepy house (if I see another dodgy torch / scary basement sequence I think I'm going to scream), your familiar sinister neighbours and your clunky jump scares. However, I was willing to stay with The Open House. I’ll admit, I was initially intrigued by the Angel and Coote's mysterious concept. In addition, the film is well shot and the performances are compelling, Dylan Minnette and Piercey Dalton both give good performances and (as a fan of ER) it is great to see Sharif Atkins. Sadly, however, despite the valiant efforts of its cast, The Open House soon (and rather spectacularly) falls apart. It just doesn’t know what it wants to be or what story it wants to tell. Angel and Coote’s story runs out of steam and from there nothing makes any sense. There are some fairly interesting ideas here but they just don't work as presented in The Open House. Plus a faulty pilot light is just never going to be scary. I lost patience with The Open House long before the film arrived at one of the worst endings that I have seen for quite some time. 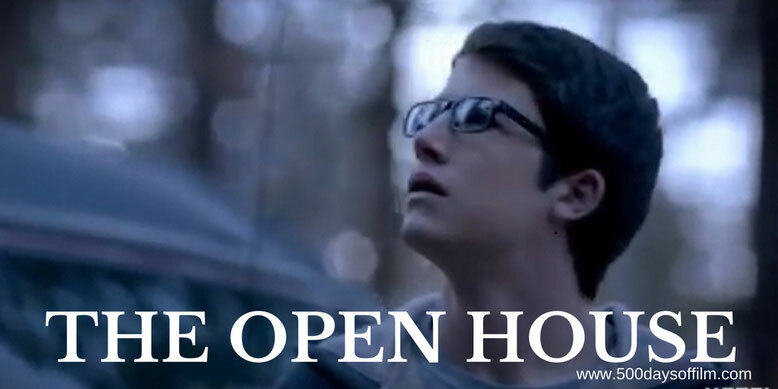 Have you seen The Open House? If you have, what did you think of the movie? Let me know in the comments section below or via Twitter or Facebook (@500DaysOfFilm).